Most experts agree that it’s never too early to start teaching children how to save. Even from an early age, kids are able to grasp some of the basic concepts of money management through a piggy bank and opening a kid’s bank account. As they get older, parents may choose to start using allowance as a teaching opportunity also. Warren Buffett, one of the most successful investors in the world, started his first business at the age of 6 selling coke bottles, and he was only 11 when he started playing the stock market. Because of this experience, he created a website called the Secret Billionaires Club in order to help educate children about proper money management while they are young. But what about stocks? At what age should parents and teachers talk to their kids about the stock market? The stock market can seem like an intimidating topic to try and teach your kids, especially since many adults seem to struggle with this very concept. However, often children as young as age 10 have a strong aptitude for learning about these more advanced economic concepts and even show interest in the subject when taught correctly. As with any subject, it is important to start with the basics. For example, a math teacher wouldn’t lecture on long division or finding a remainder without first making sure their students had a strong knowledge of adding, subtracting, multiplying and basic division. Likewise, you shouldn’t start off teaching stocks by trying to explain options, futures, short-selling and similar complex concepts. Instead, consider beginning your lesson by talking about what the stocks are, why companies sell stock to get money, how it works, why stock prices rise and fall (i.e. supply and demand, risk and reward, indirect factors, etc.) and the importance of the stock market to the American economy. In the stock market, the safest way to make money is to buy shares from stable companies with a strong potential to grow. But before your kids start combing the internet for compelling company profiles, first you’ll need to explain to them the concept of risk and reward. It is important for young investors (as well as old ones) to understand that the higher the potential reward from a particular investment is, the greater the risk of loss as well. 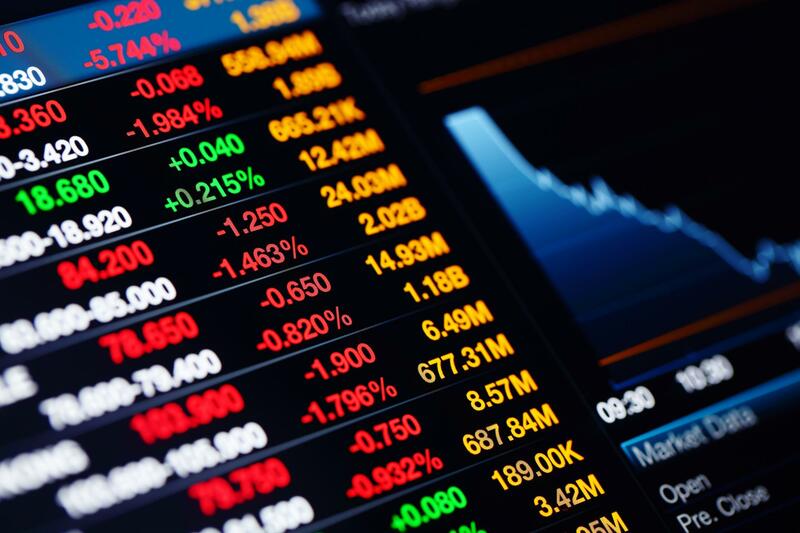 In addition to covering the basics of stocks and market economics in class lessons, it’s also a great idea to occasionally supplement activities that give students a more hands-on understanding of how the stock market works. This will help make abstract concepts and ideas into something more concrete and observable. One idea is to have each student pick out three stocks based on their interests and what they have learned about the stock market so far. Then, teach them how to track their chosen stocks each day—either through newspaper listings or online—and see how various factors affect their investment. You can even put up a board in the classroom that shows how each students’ stocks are performing, making it a fun competition. Check out other great classroom activity ideas on TheMint.org. Lastly, it’s time to test what they’ve learned and apply it. Although minors can’t own stocks or open brokerage accounts in their own name (not to mention they probably don’t have the capital), there are a number of stock market games on the internet that are extremely life-like and perfect for getting more high-level practice at managing stocks. When you think about what the stock market is, it’s really not all that surprising that it naturally tends to draw the attention of children. Ultimately, the stock market is a game—with rules, players, and winners and losers. By teaching your students and kids how to play the game at an early age, you can give them a leg up in managing their own money and investments down the road.